Translators without Borders (TwB) « Translator T.O. ProZ.com staff member and Translators without Borders board member and Translation Workspace Director Enrique Cavalitto was interviewed today on Argentine radio regarding origin of, and the work being done by, Translators without Borders in support of humanitarian causes around the world. If you speak or understand Spanish, the interview is only 21 minutes long and well worth a listen. The humanitarian organizations operating with Translators without Borders posted for translation 282,918 words in April and a total of 1,005,281 words during the first 4 months of 2012. This represents a 52% increase with respect to the 663K words received during the first 4 month of 2011. A heartfelt thank you to the worthy volunteers that make these achievements possible! 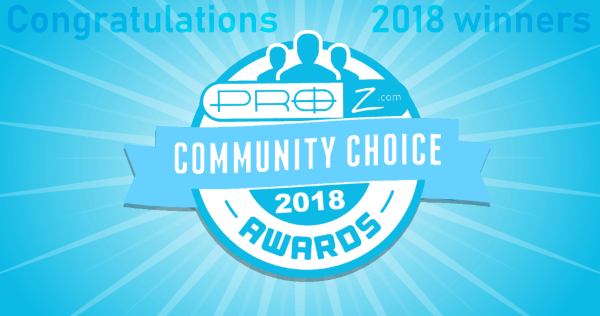 Most volunteers belong to the ProZian community and some 40% of them are part of ProZ.com Certified PRO Network. Congratulations to Marisa and Juan, and to the many excellent professionals who donated 2.5 millions translated words to humanitarian NGOs through Translators without Borders during 2011. Leaving a positive trace in the world is possible! Translators without Borders is an independent non-profit association established in 1993, dedicated to helping NGOs extend their humanitarian work by providing free, professional translations. The funds saved through the use of volunteer translations can then be used by the NGOs in the field, enabling them to extend the scope and reach of their humanitarian work. With a pool of 900 carefully screened volunteers working from a dedicated translation center powered by ProZ.com, Translators without Borders has delivered so far in 2011 almost 2.5 million donated words in 57 language pairs for more than 50 humanitarian organizations. Translators without Borders is contributing to support the Make-A-Wish Foundation, the largest wish-granting organization in the world that can be found in over 36 countries on five continents. With the help of generous donors and over 30,000 volunteers, the Make-A-Wish Foundation has granted more than 250,000 wishes worldwide since inception. Please accept the attached certificate on behalf of all the wonderful translators at TWB! Thank you for your great commitment! With much appreciation and warmest wishes for this Christmas season! Many thanks to the volunteers who make Translation without Borders possible and to the Make-A-Wish Foundation® International for this act of kindness!